That Malefor's death is so dissapointing? i mean look at Cynder and Gaul, they died in a very epic way... Malefor just sortoff sinks in the ground... am i really the only one that sees how stupid it looks? yeah dark Cynder just collapsed, Gual I cant say yet since I don't have that one yet. Malefor's end was pretty disappointing, yes. Then again, story-wise the whole thing was disappointing for me. Yeh true Radspyro... since Malefor was always ''mysterious'' it would be much better if his death was more ''epic'' and HIR calm down i was just giving an opinion. What's mysterious about Malefor? Evil dude who used to be a good dude,which now is really edgy and grim and likes to speak in vague terms. Forgive me for doing fan speculation here, but in this game, Malefor said that there were actually other purple dragons who were destined to free the destroyer, the only big-@$$ thing capable of destroying the world. When Malefor landed on that crystal in the center of the earth, he became trapped by the spirits of the crystal. I'm not sure if they're the wisest of the ancestors or if they're the preceding purple dragons, but yeah, the ending was CORNY. I didn't even have to play the game or watch any other videos to see how TRUELY dull it was (though, I must say, when I first saw the ending for the game, since I didn't see most of ANY of the walkthroughs offered this ending actually gave me a shocker, but since the video I saw didn't show the epilogue, I thought Spyro and Cynder were fully dead, even though the epilogue shows them fully alive, flying). However, this entire trilogy was set to be in the medieval era of their world. There were no signs of 21st-century technology (which was in the Spyro the Dragon series), even if the series DID show something from the early 20th century (trains, dynamite), which I believe is a bit too random for this series (so maybe Malefor had a power to retrieve futuristic technology? ), but the music and the lighting was also set to put out a dark mood for the entire trilogy. Since the tone was dark, and the medieval times was dark, you now have a reason why you never saw halograms or ANYTHING like that in the series. Therefore, I decided that this trilogy takes place in the same world as the classic series's world. It's just that the classic series took place well over 1000-1300 years after this period. The younger Spyro had never learned about any ancestors, so I figured that this, combined with the concept with TLoS, would actually make the Spyro series VERY capable for a comeback. 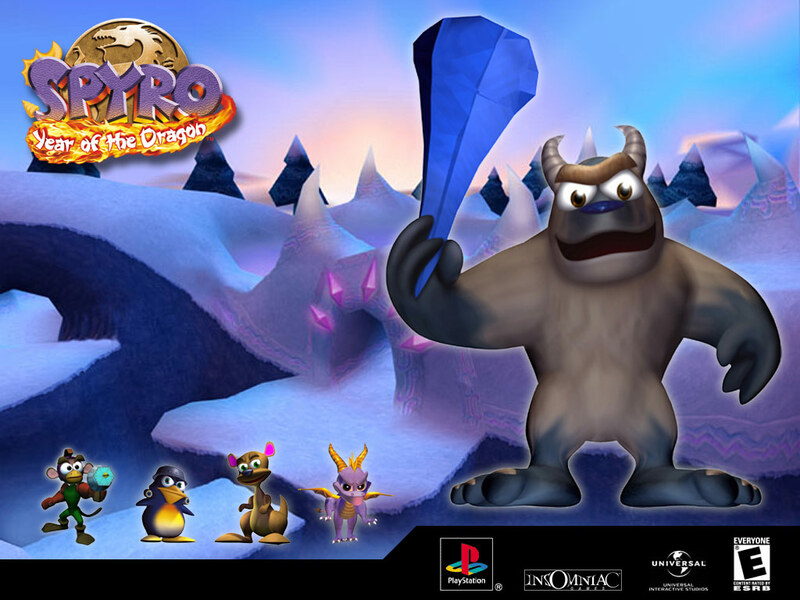 Classic Spyro was a bit of a anachronism,can't really judge the three series by technology. LOS ripped off LOTR,so it couldn't even hope to stray too far from pre-industrial technology,but Classics had aliens and all sorts of weirdness,while Skylanders seems to go towards different technology levels for each region of Skylands. And DotD made a mess of the plot TEN apparently would build up to,so I guess that game isn't worth of headcanon - EL just went with whatever they wanted,just enough to look like a Legend of Spyro thing,with some ties to itself or other games there and there; even with gaping plot holes like Hunter ignoring the trio for 3 years just to go back when they were in danger when he could just free them or something,since a swing of a mace did the job well. And we can read your signature very well,Loco,no need to advertise it because bright blue bold+italics combo is noticeable. If you look at it the right way, Cynder DID die. o_o That gateway portal thingy was basically a hole into the world of the dead, where Malefor was hanging out until the end of TEN, and she got sucked in. Dark Cynder proper did die, ripped apart by Spyro's weird magic. Ouch. Gaul is super dead and that scene was incredible and sad. I like to think he wasn't calling Spyro a coward, but Malefor, and basically goading Malefor (through Spyro) into finally killing him after a thousand years of slavery. But Malefor...yeah. The dragon ancestors are idiots and basically are just asking for this whole mess to repeat itself. Again. Ugh. I wish he blew up! Am I the only one who thinks the game should have been made by NAUGHTY DOG?!!?!?!?! Am I the only one who thinks the game should have been made by INSOMNIAC?!!?!?!?! why do you have to keep mentioning this whole naughty dog thing everywhere?